PITTSBURGH, PA--(Marketwired - Feb 4, 2016) - MEMS & Sensors Industry Group (MSIG) members and invited guest speakers will address the most pressing design, integration and supply-chain challenges and opportunities affecting the growth of MEMS and sensors over the next decade during MEMS & Sensors Technical Congress 2016 -- this year hosted in Munich, Germany. "With the promise of trillions of connected devices by the close of this decade, there is great opportunity for those in the MEMS and sensors industry. But there are several technical challenges that still remain unsolved such as technology transfer, integration, packaging/test and use of new materials for emerging technologies such as flexible, printed electronics for applications in automotive, consumer, health and even agriculture," said Karen Lightman, executive director, MEMS & Sensors Industry Group. "At MEMS & Sensors Technical Congress, we will address these challenges to enable the industry to maximize its success. For two days, conference attendees will learn from the experiences of others as they explore some of the most critical issues in our industry." 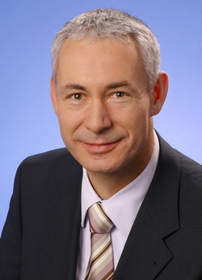 Christoph Kutter, executive director, Fraunhofer Research Institution for Microsystems and Solid State Technologies EMFT (Fraunhofer EMFT), will give attendees a guided tour of his research and development organization, which is leading innovation in sensor materials, silicon technologies, flexible electronics and microdosage systems -- and which supports integration and testing of electronic systems. 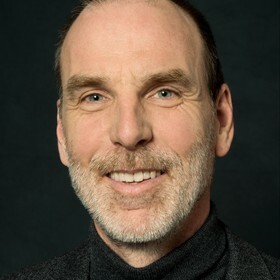 During his presentation, Printing and Hybrid Integration Technologies for Trillion Sensor Applications, Mr. Kutter will reference MSIG's recent TSensors Summit as he addresses the MEMS and sensors industry's progress toward achieving a trillion sensors by 2020. Breakout Sessions will actively engage attendees in one of three topic areas identified in the 2015 MSIG Membership Survey as the most critical issues facing the MEMS and sensors industry. Breakout session groups will focus on addressing these issues in the next two-five years in order to speed industry advancement and growth. MEMS & Sensors Technical Congress is a one-of-a-kind technical conference with a focus on discussing critical MEMS and sensors supply chain challenges. As the only event of its kind in Europe, MEMS & Sensors Technical Congress provides a place for neutral discussion of pre-competitive issues affecting MEMS and sensors manufacturing and brings together foundries, equipment vendors, research groups, large companies, start-ups, buyers, suppliers, and other stakeholders for solutions knowledge, networking and resources to support the imminent MEMS and sensors' commercialization needs of original equipment manufacturers (OEMs) and systems integrators. Premier sponsors include: Platinum Sponsor -- EV Group; Gold Sponsor -- SPTS Technologies; Silver Sponsor -- NXP; and Bronze Sponsors -- Analog Devices, Applied Materials, ULVAC and X-FAB MEMS Foundry. Supporting sponsors include: CEA-Leti, PNI Sensor and VTT. MEMS & Sensors Technology Congress will be held March 7-8, 2016 at Sofitel Munich Bayerpost, Munich, Germany. March 7 will feature sessions at Fraunhofer EMFT and a tour of the facility. MEMS & Sensors Industry Group is the trade association advancing MEMS and sensors across global markets. Nearly 200 companies and industry partners comprise MEMS & Sensors Industry Group, including Analog Devices, Applied Materials, ARM, Bosch, EV Group, GE, GLOBALFOUNDRIES, HP, HTC Corporation, Huawei, Goertek, Infineon, Intel, InvenSense, Jawbone, Kionix, Knowles Corporation, Lenovo, NXP, OMRON Electronic Components, Qualcomm Technologies, Inc., SONY Electronics, SPTS Technologies, STMicroelectronics, Texas Instruments and TSMC. For more information, visit: www.memsindustrygroup.org.